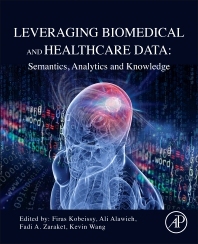 Leveraging Biomedical and Healthcare Data: Semantics, Analytics and Knowledge provides an overview of the approaches used in semantic systems biology, introduces novel areas of its application, and describes step-wise protocols for transforming heterogeneous data into useful knowledge that can influence healthcare and biomedical research. Given the astronomical increase in the number of published reports, papers, and datasets over the last few decades, the ability to curate this data has become a new field of biomedical and healthcare research. This book discusses big data text-based mining to better understand the molecular architecture of diseases and to guide health care decision. It will be a valuable resource for bioinformaticians and members of several areas of the biomedical field who are interested in understanding more about how to process and apply great amounts of data to improve their research. Dr. Firas Kobeissy obtained his PhD from the University of Florida in the area of Neuroscience. His post doc at the Department of Psychiatry focused on neuroproteomics studies of brain injury as well as drug abuse neurotoxicity. His current research is in the area of biochemistry and neuroscience focusing on identifying biomarkers of traumatic brain injury neuroproteomics. Dr. Kobeissy is the author of more than 75 articles, reviews and book chapters along with two patents. He is a member of the Center of Neuroproteomics and Biomarker Research (CNBR) at the McKnight Brain Institute at the University of Florida. He is the editor of three books (Humana Press and Taylor and Francis); the books deal with biomarker identification and proteomics research. Dr. Kobeissy has published extensively in the areas of systems biology pertaining to the areas of deciphering biomarker and pathways of pathogenesis in brain studies obtained from high throughput proteomics data. Dr. Kevin Wang is internationally recognized for his original contributions to the fields of traumatic brain injury (TBI)-linked proteolytic enzymes, therapeutic targets, neuroproteomics/systems biology, biomarker discovery and validation. Dr. Wang has published in the areas of systems biology/bioinformatics of biomarkers identification in with the main application on neural injury. In his quest for brain injury therapeutics, his omics/systems biology work has led to the identification of clinical diagnostic utility for two brain injury protein biomarkers during the acute phase of brain injury which have now been confirmed tested in clinical samples and are now moving forward to FDA-approval seeking pivotal clinical study. His current research directions include studying mechanisms for CNS injury, neuroproteomics, systems biology, and substance abuse-induced brain perturbation using systems biology approach. He has published more than 200 peer-reviewed papers, reviews and book chapters and co-authored eight US patents and co-edited four books. Dr. Wang is also past President (2011-12) and current Councilor (2013 - present) of the National Neurotrauma Society (USA). Dr. Fadi Zaraket obtained his PhD in the ECE from UT Austin. Dr. Zaraket worked in the industry for a dozen years at IBM, Sun Microsystems, and Santa Cruz Operations. His current research spans the (1) automated correctness and (2) information extraction areas. He teaches programming and computer engineering courses. His current research involves extracting entities and relational associations from related text documents, aggregating the extracted entities into graph entities using cross-document analysis techniques, and analyzing the graph entities for domain specific insight. The application of this approach to medical publications in the area of brain diseases with focus on stroke, brain injury and spinal cord injury led to several discoveries. The approach was also applied to Arabic documents coupled with computational linguistic based features to extract information from several corpora such as temporal entities from news documents, narrator chain from literature documents, and family relations from biblical and Islamic tradition documents. Dr. Fadi published in the areas of verification of logic systems and information extraction in several renowned peer reviewed conferences and journals. Ali Alawieh’s research is focused on developing translational and site-targeted immunotherapeutics for stroke and brain injury. His research involves a complex mix of in-silico, in-vitro and in-vivo analyses of dysregulated protein and gene-regulatory networks after CNS injury, and how these networks could be fine-tuned to reduce injury and allow recovery. Ali has contributed to novel tools and approaches in data mining, computational modeling and network analysis including among others an automated and intelligent extraction system (SAMNA) to curate protein dysregulation data from scientific literature, a machine learning-based approach for prediction and analysis of bacterial resistance progression in Europe, and a novel approach for constructing and leveraging disease-related protein interaction networks. 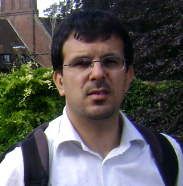 Ali has published his work in several peer-reviewed journals and wrote several book chapters and reviews in the fields of systems biology, data mining, and computational modelling.